The UN expert team is talking about the murder of journalist Mohamed Absi. What does the Houthi spokesperson have to do with it? A remarkable note about the killing of fellow journalist Mohammed Abdo Absi, cited in the report of the UN Panel of Experts on Yemen in his annual report to the UN Security Council late last month and obtained the full version by the "Al-Masdar online ". The 229-page report detailed the political, economic, military and security situation in Yemen and included the panel's investigations and findings on many issues as well as its assessment of multi-party performance. In the economic and financial context of Yemen, the report spoke of potential external financing, in particular, financing through fuel imports, where the panel investigated the donation of fuel products exported to Yemen that could represent potential financial assistance to individuals on the sanctions list. "A suspected murder on December 20, 2016, claimed the lives of Mohammed Abdo Absi, a journalist based in Sanaa, who was preparing an investigation into the involvement of Houthi leaders in the importation of fuel to finance the ongoing conflict," the report said. The report noted that the Director-General of the United Nations Educational, Scientific and Cultural Organization (UNESCO) had called for an independent and thorough investigation into the death of Mr. Absi in a statement issued in implementation of the UNESCO report. 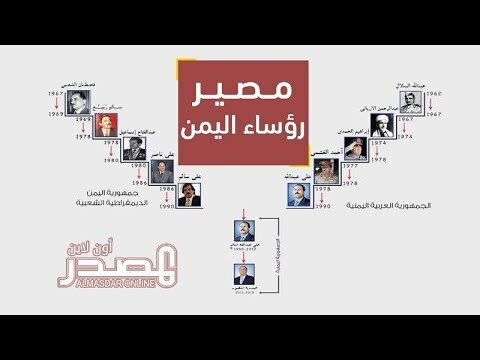 The report of the Group of Experts noted that, as reported by several media outlets, Absi had mentioned three companies involved in such activities owned by Mohamed Abdulsalam Salah Flitah, the spokesperson of the Houthis and the chairman of the Houthi television network, as well as Daghssan Daghssan, and Ali Qersha. The Panel stated that, through its investigations, it identified three companies with names similar to those mentioned in the Absi investigations (with a slight variation in English-Arabic translation), namely, Yemen Elaf, the company mentioned by the journalist Absi to be owned by the Houthi spokesperson and Oil Premiere, (affiliated to Daghssan). And black gold, as well as two additional companies, Wheelers (working as an interface for oil Premiere and affiliated to Daghssan), and the company "Alkhairat ", which acts as a sales agent for Black Gold. The panel said it found that oil Premiere and Wheelers were associated with Daghssan, a façade representing the same commercial interests and links to the Houthis. The follow-up team in the case of colleague Absi confirmed that he had died of poisoning, according to the results of the laboratory examination and the coroner's report, which revealed the presence of the substance "Carbosi hemoglobin " In the blood by 65 percent, which is considered fatal. There is a widespread belief in the Yemeni journalist that Absi was killed in a premeditated crime by the Houthis against the background of his journalistic investigations into Houthi oil companies.